Crystal Palace is last on the table with 0 points from six games, three points below Bournemouth. Manchester United played against CKSA Moscow in their mid-week fixture in the Champions League and won the game by 4-1 with goals from Lukaku, Martial, and Mkhitaryan. Carrick, Pogba, Rojo, and Ibrahimovic are all long-term absentees. The Red Devils have never lost a League game against Crystal Palace in their last 16 games, winning 13 and drawing three. If United win today they will equal their record tally of 19 points after opening seven league games. They have won all three home games in the league so far, scoring 10 goals and conceding none. Crystal palace faced the wrath of Manchester City in their previous fixture in the league as they lost the game by 5-0. Benteke is out for at least six weeks, Loftus-Cheek is injured, Tomkins is ill and Fosu-Mensah is ineligible to play against his parent club. Crystal Palace last won their game against Manchester United back in 2011 in the league cup. Crystal Palace are the first side in the top four divisions to lose their first six games of the season without scoring. Crystal Palace have lost nine of their last 10 league games, failing to score in each defeat. 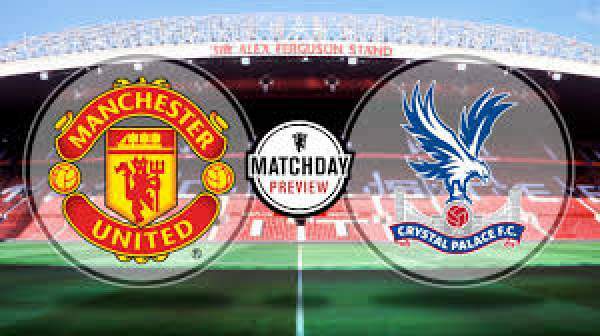 Manchester United are in a very strong form and can easily beat Crystal Palace.